From Burnie, with its industrial heritage and busy port, the Bass Highway follows the coast westward along the coast. 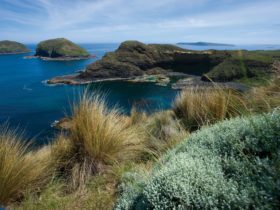 The drive takes you past some impressive geological features; Mt Roland near Devonport, Table Cape just beyond Wynyard and the Nut at Stanley, an immense flat topped, volcanic plug rising 150 metres and visible 30 km away with sheer cliffs on three sides. Overlooking Stanley is the beautifully restored Highfield House Historic Site, built in 1832 for the Van Diemen’s Land Company’s chief agent. Continue west to Smithton, centre for the region’s productive agricultural and thriving forestry operations. From Smithton, the highway begins its last leap westward to Marrawah. 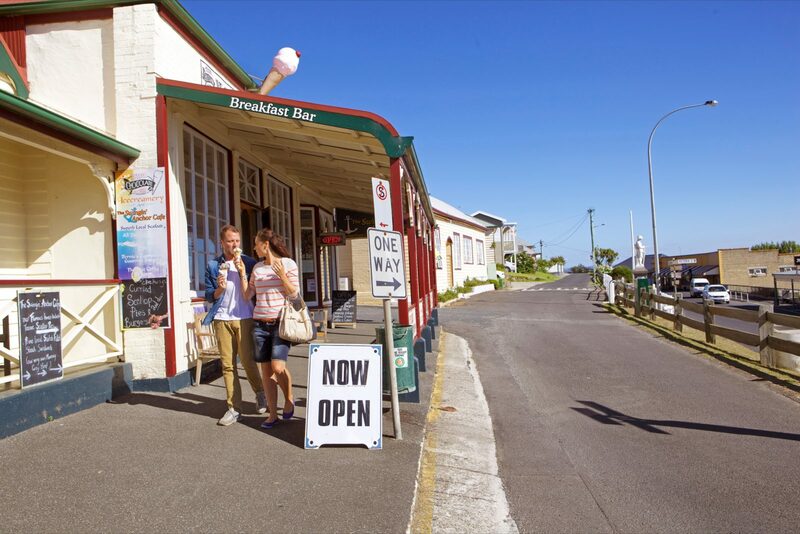 At Boat Harbour and Sisters Beach, green fields sweep down to picturesque, family-friendly beaches. 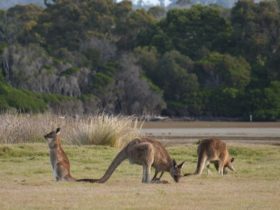 Southwards from Marrawah is the settlement of Arthur River and the Tarkine Wilderness Area, where you can take a heritage river cruise up the tranquil Pieman River. By contrast, the often-wild seas at the fishing settlements of Couta Rocks and Temma force fishermen to winch their boats out of the water on slips rather than risk them on moorings. 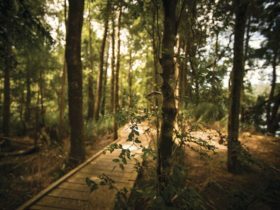 The Western Explorer route through the Arthur-Pieman Protected Area passes through the Tarkine forest wilderness and crosses the lower reaches of the Pieman by vehicular barge on its way to Tasmania’s West Coast.